Ali Jannati has extended his heartfelt condolences on the untimely demise of Iranian pop singer Morteza Pasha’ie. 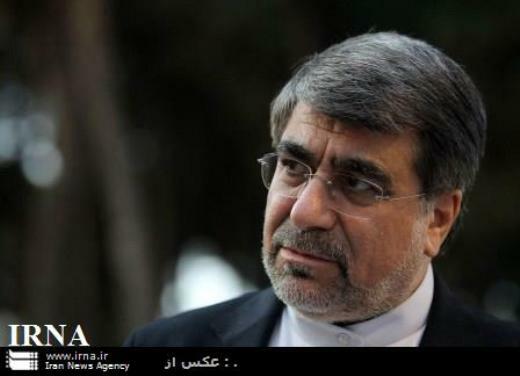 In a note appearing on his Facebook page on Sunday, Culture and Islamic Guidance Minister Ali Jannati condoled with the Iranian nation on the untimely death of young, popular pop singer, Morteza Pasha’ie. “I hereby condole with the entire elites, artists and fans of the popular singer of the Iranian nation Morteza Pasha’ie, especially with his revered family members, on his heart breaking demise and pray to Almighty Allah for the salvation of his soul and for granting patience and peace of mind to those who love him,” reads the culture minister’s note. Iranian pop singer Pasha’ie died from acute stomach cancer on Friday morning at the age of 30 in a Tehran hospital. His funeral procession began on Sunday afternoon in front of Tehran’s Vahdat Concert Hall moving towards the city’s Behesht-e Zahra Cemetery followed by a large crowd of his fans, some of whom were singing a number of his famous songs. Due to the dense population of Pasha’ie’s fans, his burial was delayed for a couple of hours till the police forces at the cemetery managed to somehow disperse the crowd. It was earlier announced that the burial had been delayed to a later time.